Imagine a Christmas without carols or cards. No festive dinner. No presents under the tree on Christmas morning. No tree. No day off to spend with the family. 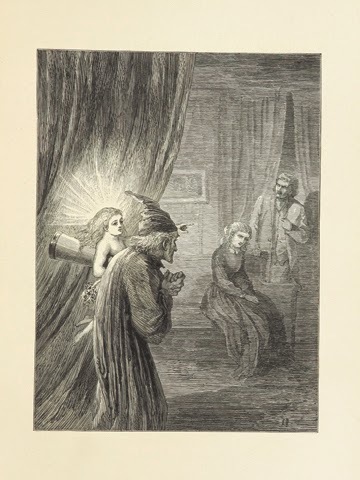 This was Christmas in most places before A Christmas Carol was published on December 19, 1843. 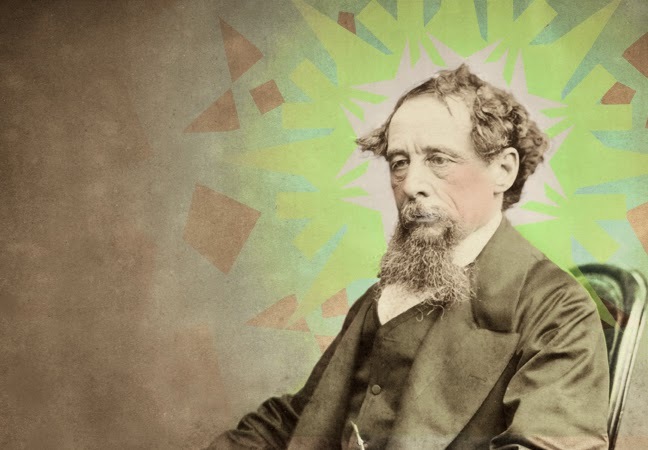 Charles Dickens has been called “the man who invented Christmas,” and while that’s an exaggeration, it’s only a slight one. He didn’t invent the modern holiday by himself, but for many people, his vision of Christmas is Christmas. Christmas was grim in England’s cities during the Industrial Revolution. Factories and businesses were open on December 25, and there was no day off for employees like Martha Cratchit. 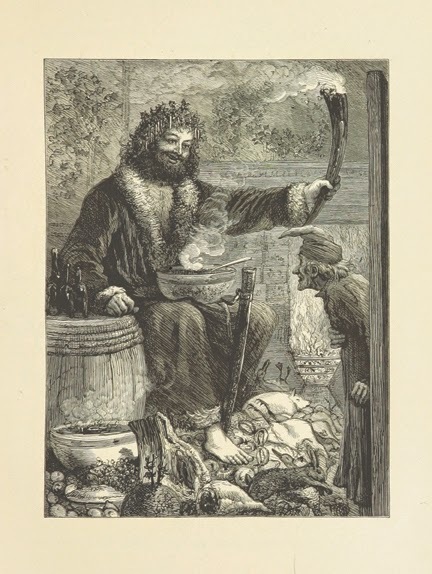 Still, while Christmas wasn’t much celebrated in London or other large cities, some of the old customs were observed in remote rural villages. "The Spirit of Christmas Present." Boston: Ticknor and Fields, 1869. For more about A Christmas Carol, be sure to click here to read our free edition of Words on Plays! For tickets to A Christmas Carol visit act-af.org/carol.